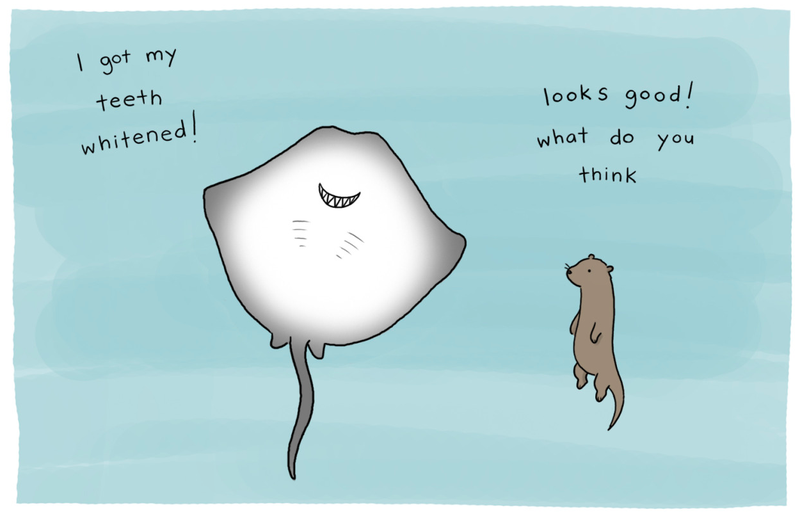 Rays and skates are members of a superorder of fishes called Batoidia (they're also in the subclass Elasmonbranchii, to which sharks also belong). Batoids are super weird. You should read about them. But for the purposes of this comic, what you need to know is that batoid undersides look like funny little faces. See? Delightful as hell. Much more here.